In the risky industry of film making, Disney is rated among the best. They have launched a great number of good films that have convinced people to pay and watch them. But, throughout their history in the business, some of their films stood out and broke records. The Lion King, the 32nd animated feature in the Walt Disney Animated Classics series, is an animated musical film released under Walt Disney Pictures and produced by Walt Disney Feature Animation. 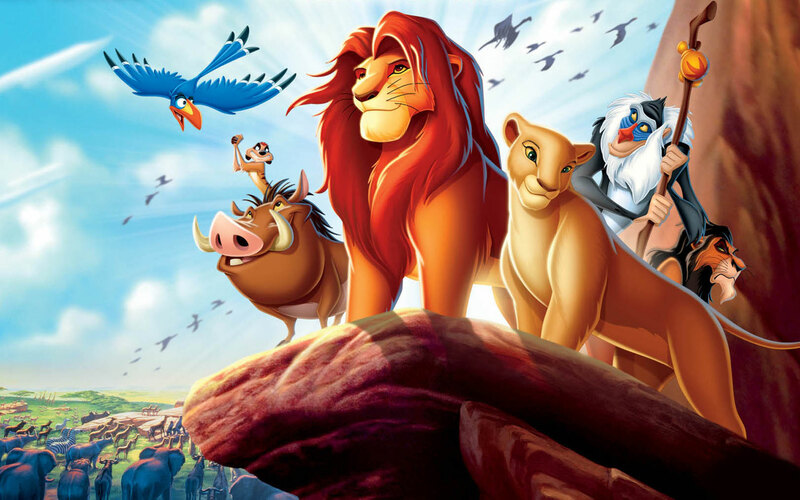 It tells the story of a young lion named Simba, who is to take the spot of his father, Mufasa, as king. However, his uncle, Scar, murders Mufasa. He is then manipulated into thinking he was the reason for his father’s death. So, he flees and hides in shame and despair. When he matures with other animals, he is given some advice from his friend Nala, and his shaman, Rafiki. He returns to his homeland to challenge Scar and to end his cruelty. Directed by Rob Minkoff and Roger Allers, the film features the voices of James Earl Jones, Jonathan Taylor Thomas, Matthew Broderick, Moira Kelly, Ernia Sabella, Robert Guillaume, Rowan Atkinson, and Jim Cummings. The Lion King received positive reactions from critics upon release. They praised it for its story, music, and animation. It then became the highest-grossing film at that time. It was re-released in 2011. And by the end of its run, it grossed more than $952 million, making it the third-highest grossing animated film of all time. Pirates of the Caribbean: At World’s End is the third installment of the Pirates of the Caribbean film series. It centers on the adventures of the crew of the Black Pearl, as well as Will Turner and Elizabeth Swann, as they rescue Captain Jack Sparrow from Davy Jones’ Locker. Upon release, the film received mixed reviews. But, many praised the actors’ performances, the action scenes and special effects, and the musical score. It was the most successful film of 2007, generating more than $960 million in ticket sales worldwide. At World’s End received two Academy Award nominations, including the Academy Award for Best Makeup and Best Visual Effects. Directed by Tim Burton, Alice in Wonderland is a live action and computer animated adventure, fantasy film, inspired by an 1865 novel by Lewis Carroll, Alice’s Adventures in Wonderland. It stars Mia Wasikowska, Johnny Depp, Anne Hathaway, and Helena Bonham Carter. Although it received mixed reviews, the film became Burton’s most successful movie to date with majority of the critics praising its special effects and visual styles. During the 83rd Academy Awards, Alice in Wonderland received award nominations, which include Best Visual Effects. It also won two Academy Awards for Best Art Direction and Best Costume Design. Alice in Wonderland is now the seventeenth highest-grossing film of all time, generating more than $1 billion in ticket sales. Its sequel entitled, Alice Through the Looking Glass, will hit theaters on May 27, 2016. Pirates of the Caribbean: On Stranger Tides is the fourth installment of the Pirates of the Caribbean film franchise. It stars Johnny Depp as Captain Jack Sparrow, Penelope Cruz as Angelica, Geoffrey Rush as Captain Hector Barbossa, and Ian McShane as Edward “Blackbeard” Teach. The film follows Captain Jack Sparrow’s adventures in searching for the Fountain of Youth. However, he is confronted by the infamous pirate Blackbeard. For the production, they employed 3D cameras similar to those that were used in Avatar. Also, they sought help from ten companies for the movie’s visual effects. Due to all the production costs, it is currently known as the most expensive film ever made. Upon release, On Stranger Tides broke many box office records. It became Disney’s fastest distributed film to reach the $1 billion mark. In its opening weekend, the film already earned $350.6 million, surpassing the third installment, At World’s End, which was $344 million. All in all, it grossed more than $1.04 billion. It is currently ranks number 14 on the list of highest-grossing films of all time. It also received four Teen Choice Awards nominations. Directed by Gore Verbinski and written by Ted Elliott and Terry Rossio, Pirates of the Caribbean: Dead Man’s Chest is the second installment of the Pirates of the Caribbean film franchise. It follows the marriage of Will Turner and Elizabeth Swann, which was then interrupted by Lord Cutler Beckett. The film features an ensemble of cast, including Orlando Bloom, Keira Knightley, Tom Hollander, Bill Nighy, and Johnny Deppy. It was filmed back-to-back with Pirates of the Caribbean: At World’s End. On July 7, 2006, the film was released. It garnered positive reviews, with majority praising its music, action, special effects, and performance. However, it was criticized for its plot and running time. Despite this, it broke records within its first three days. In its opening weekend, it grossed $136 million. 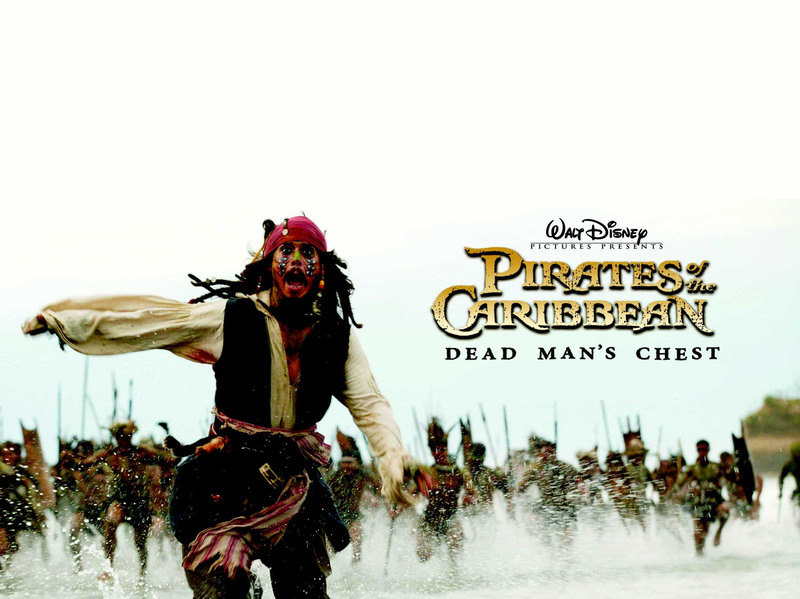 As of 2014, Pirates of the Caribbean: Dead Man’s Chest became the 11th highest-grossing film of all time, earning over $1.07 billion. Frozen, the 53rd animated feature film in the Walt Disney Animated Classics series, is a computer-animated, musical, fantasy, comedy film released under Walt Disney Pictures and produced by Walt Disney Animation Studios. It tells the story of the brave princess, Anna, who embarks on an epic journey with a rugged iceman, a loyal reindeer, and a naïve snowman, to find her sister Elsa, whose powers trapped their kingdom in eternal winter. Upon release, the film was met with strongly positive reviews. 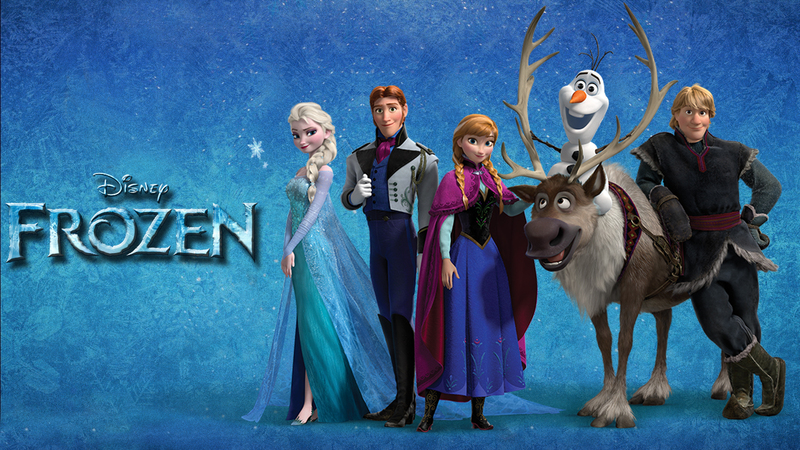 Many critics even considered Frozen to be the best Disney animated musical feature film in the history of the studio. The film received two Academy Awards for Best Original Song and Best Animated Feature, a Golden Globe Award for Best Animated Feature Film, and a BAFTA Award for Best Animated Film. It also received five Annie Awards, two Grammy Awards, and two Critic’s Choice Movie Awards. Frozen also became a tremendous commercial success, accumulating nearly $1.3 billion in the worldwide box office. It now ranks as the highest-grossing animated film of all time, the sixth highest-grossing film of all time, the highest-grossing film of 2013, and the third highest-grossing original film of all time. The Avengers is a superhero film based on a superhero team of the same name from Marvel Comics. It stars Chris Evans, Robert Downey Jr. Scarlett Johansson, Chris Hemsworth, Tom Hiddleston, Clark Gregg, Samuel L. Jackson, Stellan Skarsgard, and Mark Ruffalo. It premiered at Hollywood’s El Capitan Theatre on April 11, 2012, and was theatrically released in the United States. It then received lots of awards and nominations, which include a BAFTA and an Academy Award nomination for achievements in visual effects. The Avengers also set numerous box office records, which include the biggest opening weekend in North America. It even became the third-highest-grossing film of all time, grossing more than $1.51 million worldwide. Every year, lots of movies are released. While some fail miserably, others manage to generate huge profits. This goes to show that a movie with a great story and fine acting doesn’t always make it big on the big screen. Whatever the secret to making a blockbuster movie is, Disney sure knows this.